It seems that the only technology progressing as rapidly as the robots who are going to take your jobs is that of 3-D printing. Capable of creating clothes, huts, offices, art, prosthetic limbs, space station parts, and more, the science has now expanded to being able to reproduce the organs that are used to reproduce. Even though they actually work, can we please call them "faux-varies"? According to futurism.com, researchers at Northwestern University have successfully 3-D printed synthetic ovaries that have enabled infertile mice to resume their menstrual cycles and even give birth. 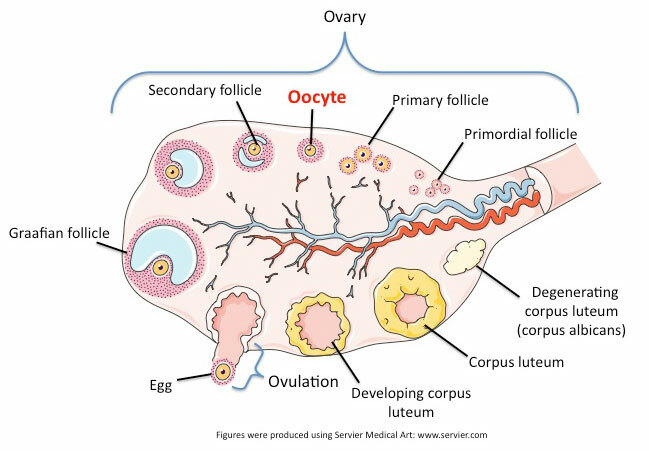 The ovaries were constructed from a Jello-like material combined with living cells. Once implanted into mice that had had their ovaries removed, the Jellovaries (which is not a scientific term, but it should be) reacted as normal organs would. The 3-D printed elements, as explained in a press release on Endocrine.com, created a “scaffold” in which hormone producing cells and immature egg cells (oocytes) were implanted. The scaffold was created based on biological principles, accounting for enough rigidity to survive the surgery, as well as enough space to provide for blood vessel formation, oocyte growth, and ovulation. By assessing human cell cultures, the scientists designed the scaffolding with crisscrossing struts, allowing the cells to anchor at multiple points. The mice who were the recipients of the transplants were able to ovulate, give birth to healthy pups, and nurse. No additional substances were needed to spur on the growth of blood vessels in the mice, and the bioprosthesis interacted well with the soft tissues in their bodies. Future work on soft-tissue replacement could take cues from this experiment. Oh science, is there anything you can't improve? This bioprosthesis could someday be of tremendous help to women who have survived ovarian cancer or other troubles of the lady-bits that could have led to the impediment of fertility. An estimated 1 in 250 adults has survived childhood cancer, and 1 out of 55 women will develop ovarian cancer in their lifetime. Hopefully, science will be able to print up the perfect cure! in 3-D is a fairly new technology, thank you for sharing. Thanks for sharing such a good article and for informative things. Your articles are really amazing and I got a lot of information and guidance reading them.